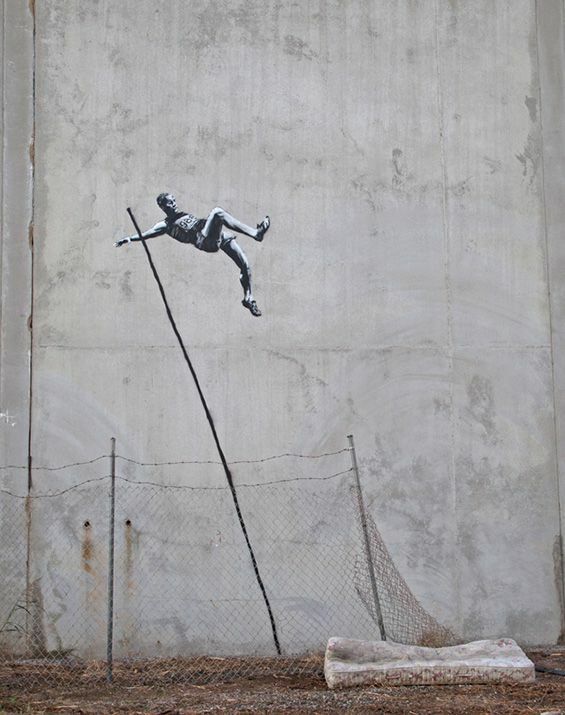 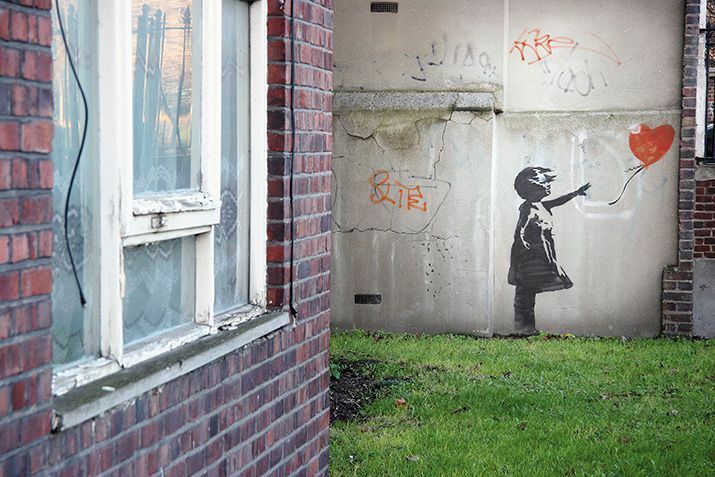 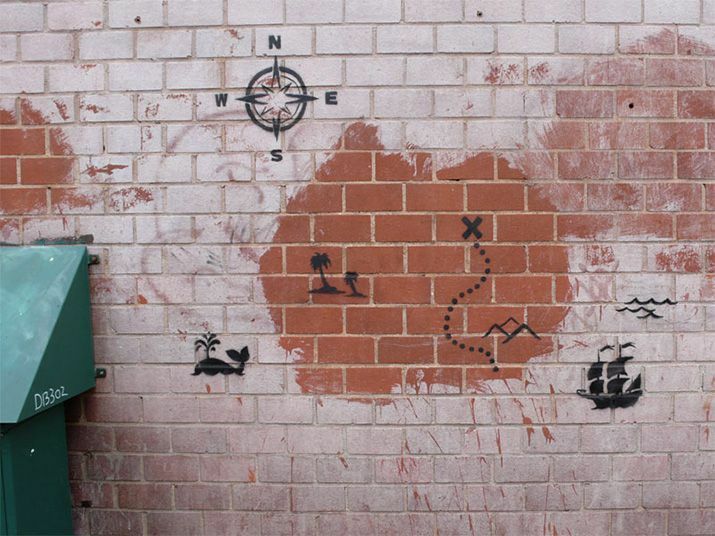 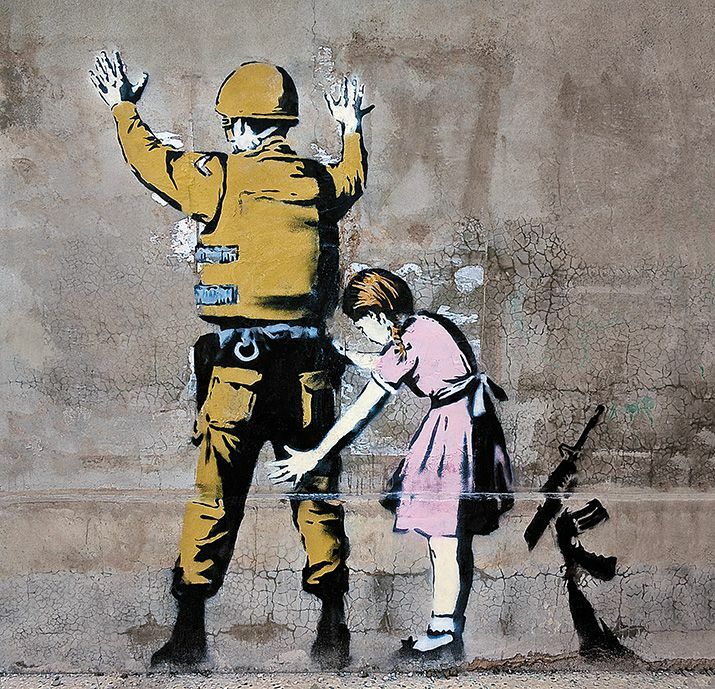 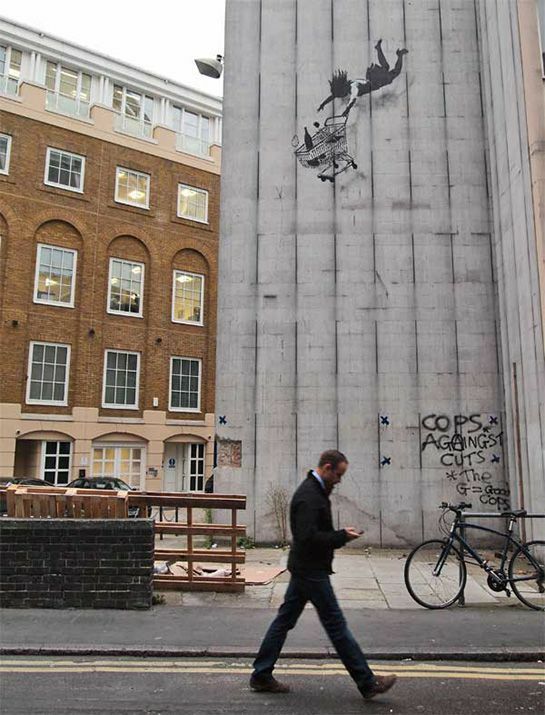 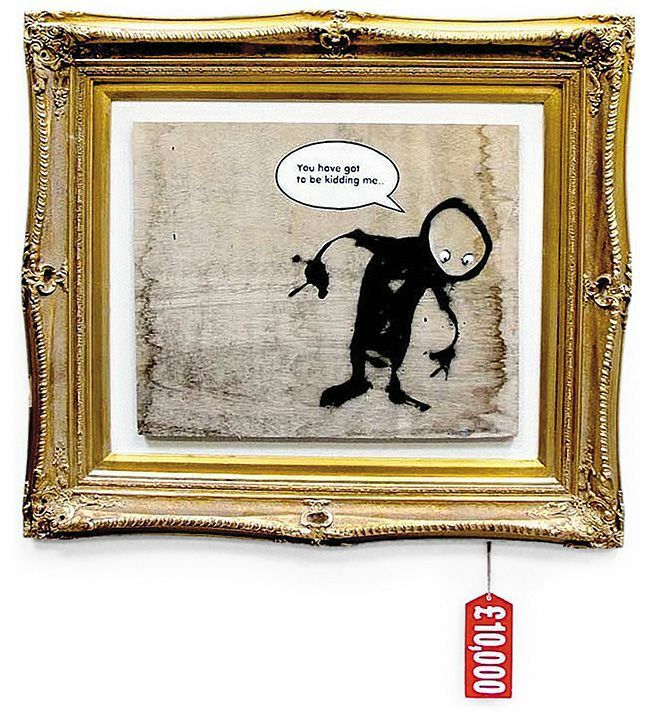 Who Owns This Half-Million Dollar Banksy Mural? 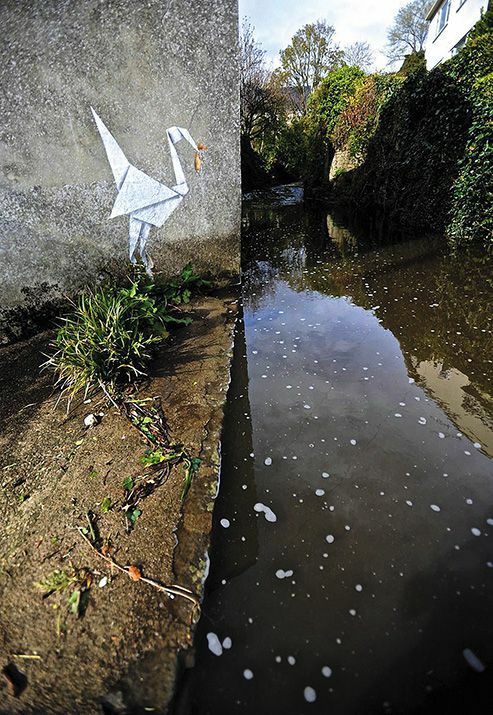 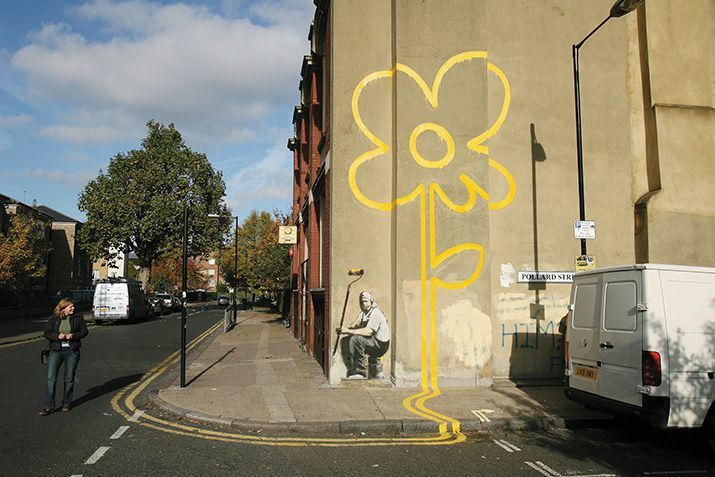 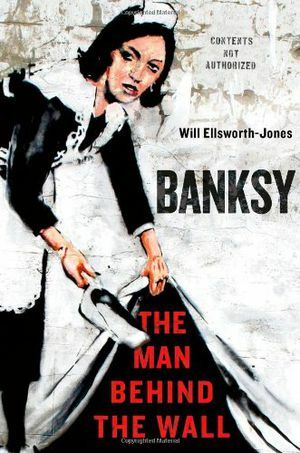 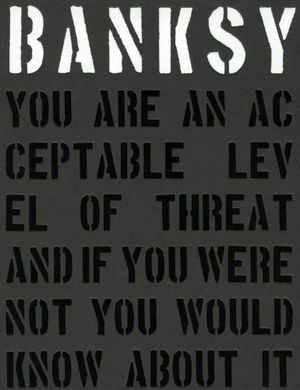 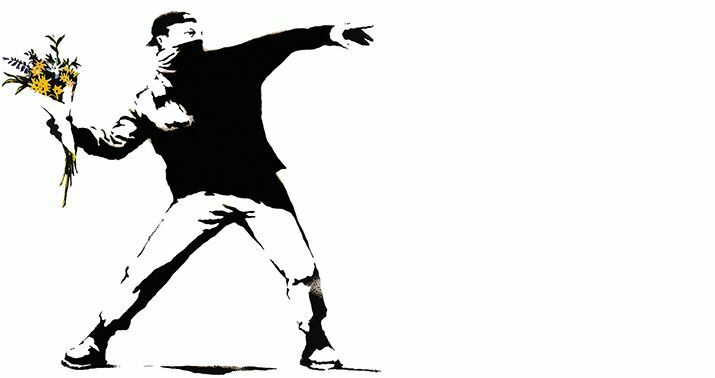 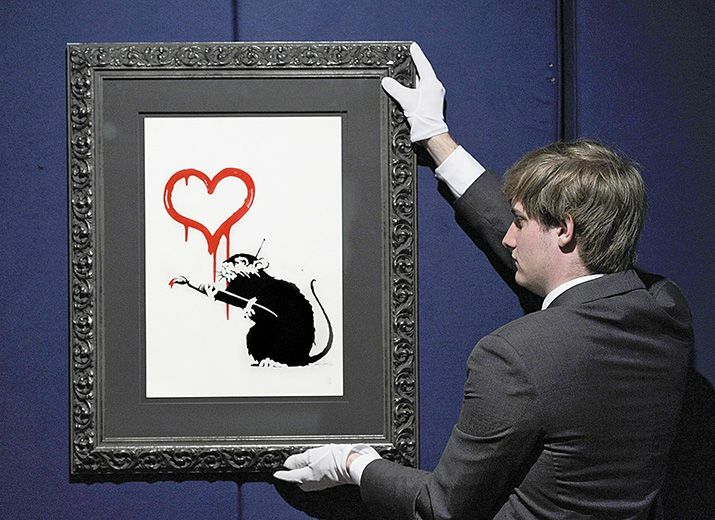 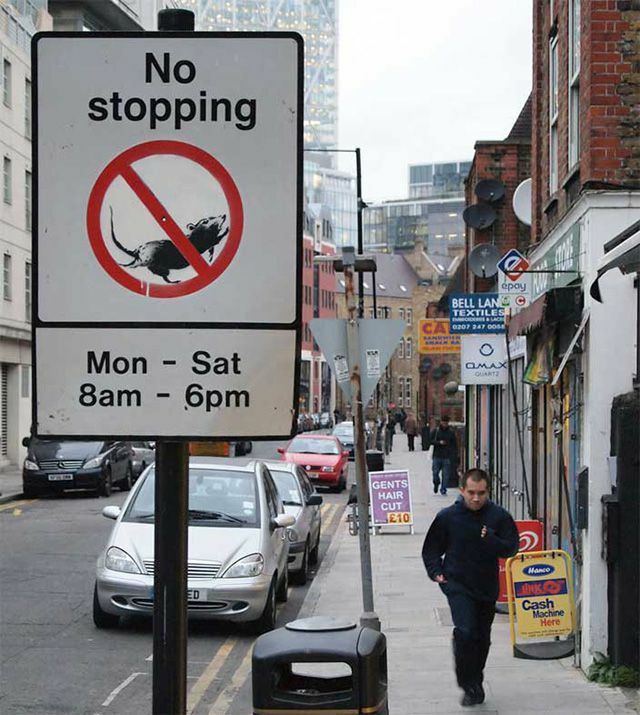 Pest Control, the tongue-in-cheek-titled organization set up by the artist to authenticate the real Banksy artwork, also protects him from prying outsiders. 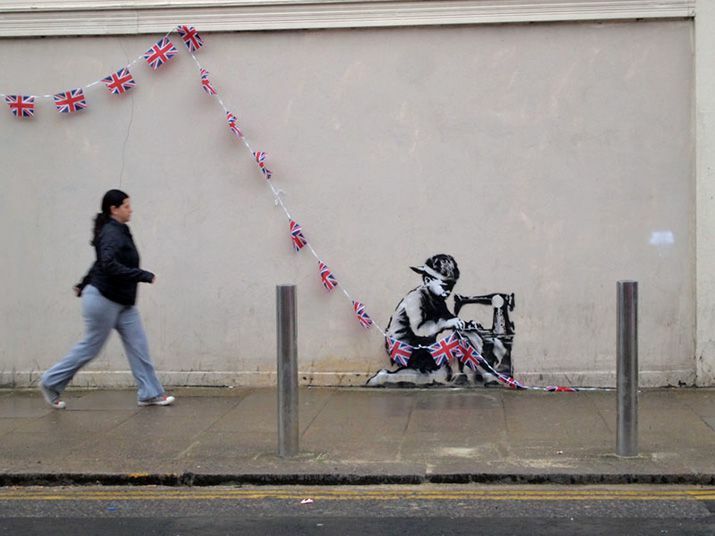 Hiding behind a paper bag, or, more commonly, e-mail, Banksy relentlessly controls his own narrative. 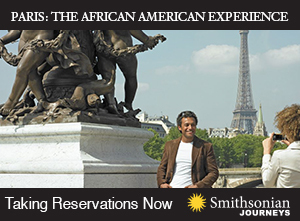 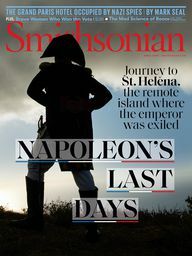 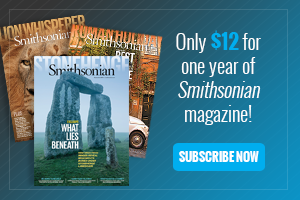 His last face-to-face interview took place in 2003. 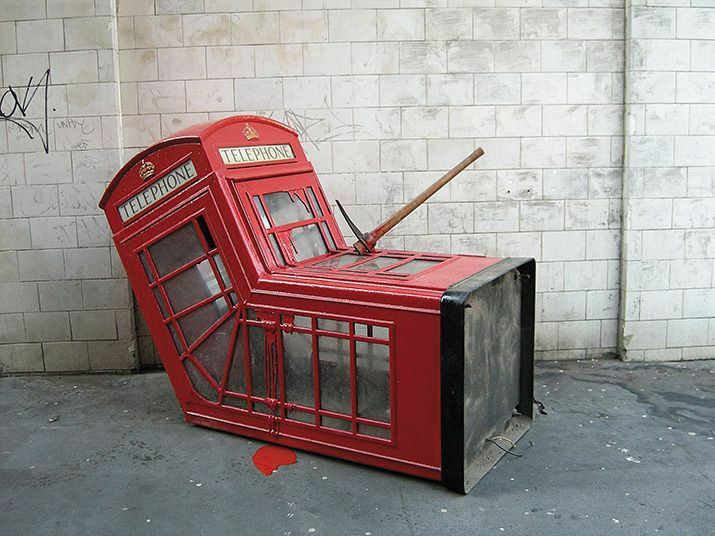 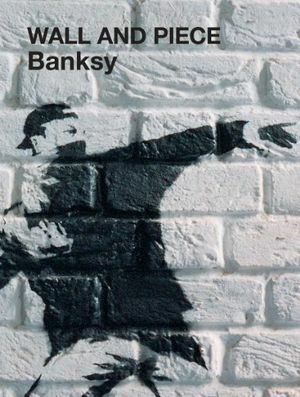 In July 2003, Banksy mounted “Turf War,” his breakthrough exhibition. 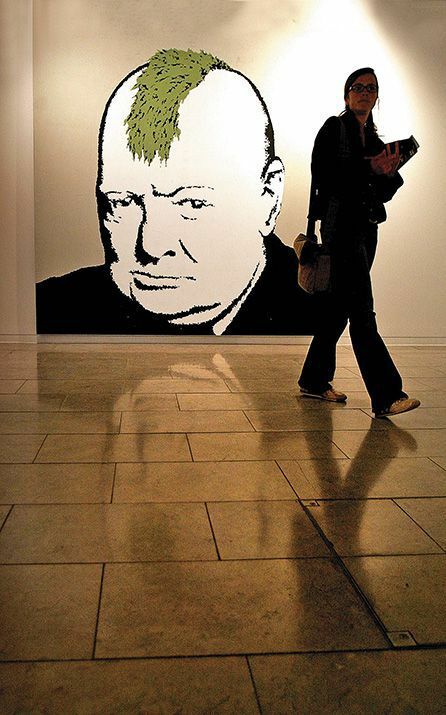 Staged in a former warehouse in Hackney, the show dazzled the London art scene with its carnival-atmosphere display, which featured a live heifer, its hide embellished with a portrait of Andy Warhol, as well as Queen Elizabeth II in the guise of a chimpanzee.